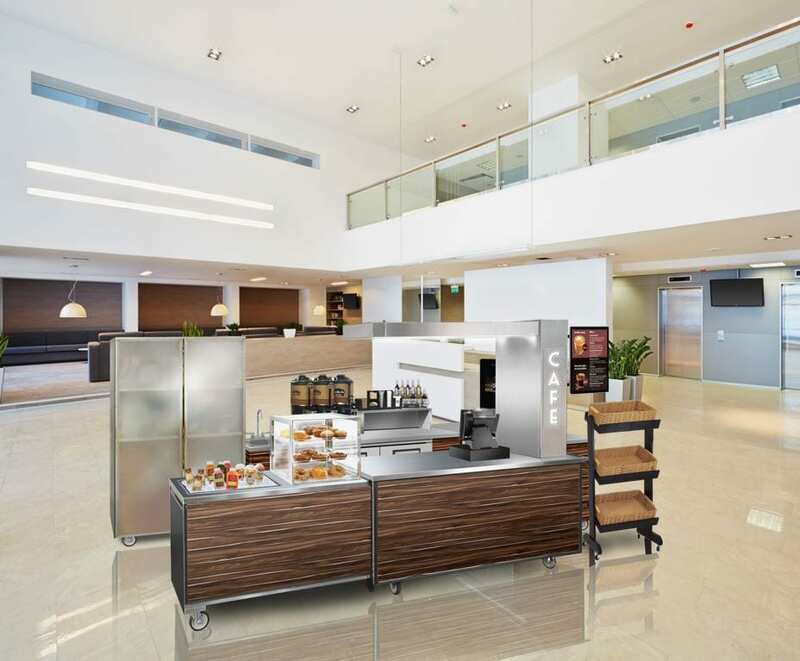 With the food service giants having raised the standard of an exceptional café experience you may be considering incorporating a “café” type concept in an underutilized space such as a lobby or corner area of your facility to generate revenue away from your current food service operation. 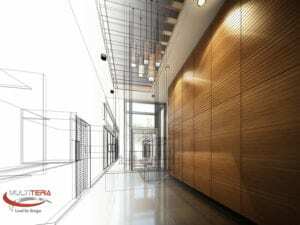 Location – Determine the best location for your “café concept”; a lobby may be the perfect location or consider a space that is currently away from your cafeteria where there is existing foot traffic and may be a viable location to set up. Study traffic patterns, get feedback from students and visitors, do your research before moving to the next step. Decide on Space Requirements – Careful research and consideration should be taken when designing your space, define your long term goals and have a clear idea on how you will best utilize the space. Go on a research expedition and visit local eateries to view equipment, traffic flow, aesthetics this will greatly help in the design phase. Equipment – Consider self contained mobile retail equipment concepts that fit the space and offers flexible in terms of the ability to easily move the counters to another location if the particular location selected isn’t profitable. 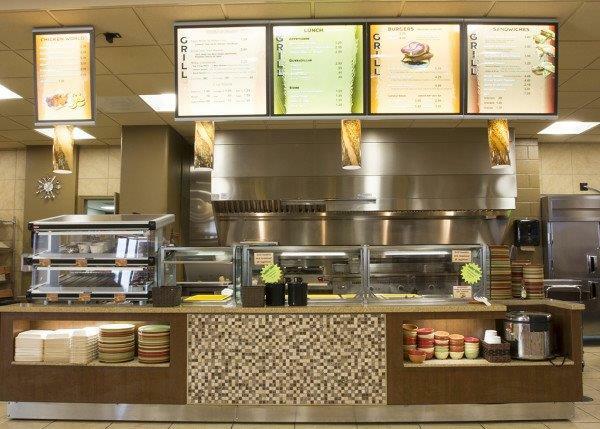 Consider equipment that provides flexibility such as a basic open kiosk platform or larger size configuration made up of several counters. It is important to select equipment based on capacity, labor, anticipated maintenance costs of operating the space and initial cost of the equipment. Menu selection will drive “the customer experience” and researching your options prior to the design phase is key. It is important to remember that the menu creates an “image” of your establishment and needs to be an extension of the design you are trying to portray. Menu planning to meet current trends and food prep required will drive the menu; will you be serving pre packaged prepared items or will you be implementing a menu made to order style concept such as; Panini’s, made to order sandwiches, noodle bar, specialty coffee and snacks, etc. Merchandising/Signage – Because a dining experience is more than great food, food display and merchandising can drive revenue and participation. Creative merchandising can capture missed sales opportunities, maximize profitability and increase customer satisfaction and repeat business. There are 4 key elements to successful merchandising, by incorporating these into your retail dining operation you can enhance your food service operation and ultimately increase sales. 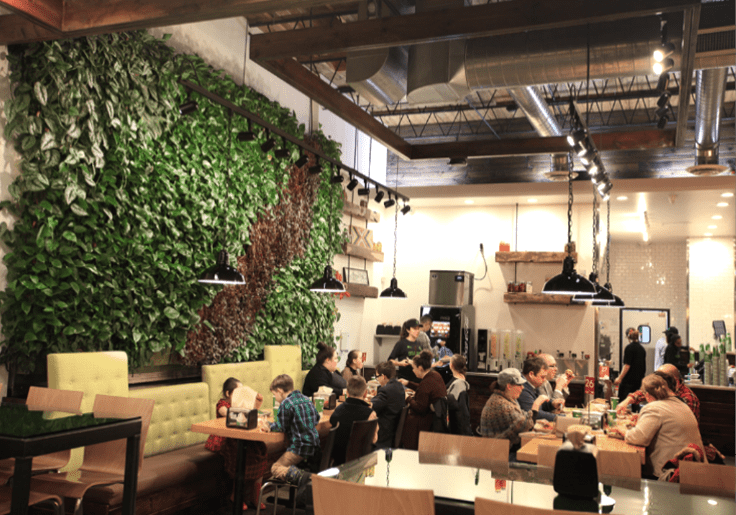 By making a concerted effort in the research phase, you will be able to effectively implement a successful revenue generating stream in an underutilized area that will compliment your retail dining program.